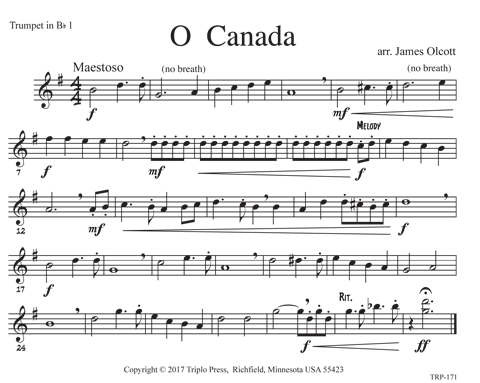 The national anthem of Canada and part of the Triplo Press Patriotic Series. Can be played to full effect with four trumpets. 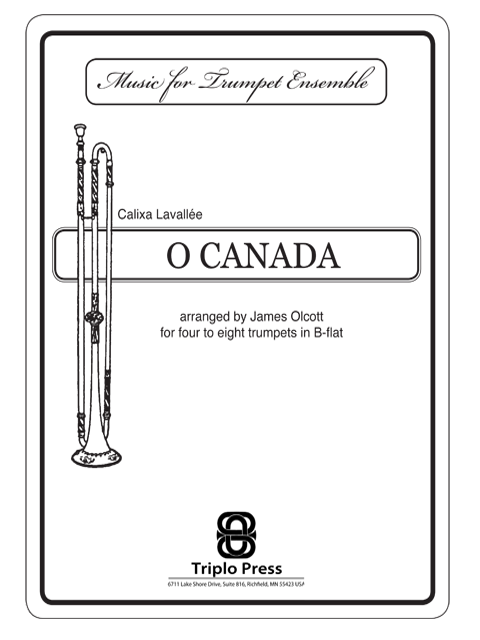 Trumpets three and four have a few split optional parts and the final chord is voiced out to eight, so an ensemble of any size can create a very inspiring rendition of the work. This is a very effective piece. Available in pdf only.